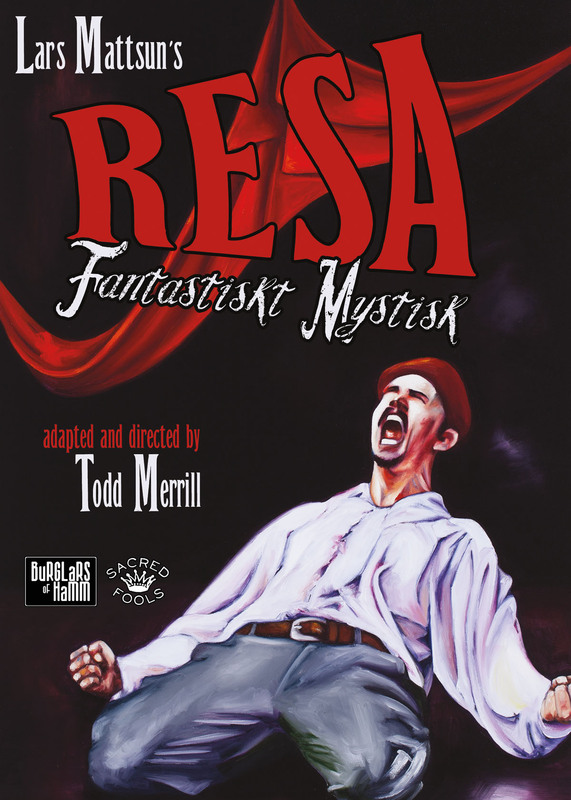 Lars Mattsun's "Resa Fantastiskt Mystisk"
THE FRINGE HIT! The lost masterpiece returns. Art lovers, rejoice. Collaborating again with Sacred Fools after the acclaimed co-productions Land of the Tigers and The Behavior of Broadus, Burglars of Hamm will present their acclaimed production of this previously unknown masterpiece by Swedish playwright/provocateur Lars Mattsun (1849-1912). Through Mattsun's surreal theatricality and stunning wordplay, the audience is engulfed in the tale of a troubled young man named Phillip, who follows a Mysterious Child into a world of art, sexuality and madness. Much of the original cast and production team return, including controversial director Todd Merrill. RESA has played to great acclaim in Los Angeles, Seattle, Edinburgh and New York, and won the Top of Fringe award at this year's Hollywood Fringe Festival. Sunday, October 14: DONATE WHAT YOU CAN. It's "Pay What You Can" with a twist! Half of all proceeds for this performance will be donated to 24th St. Theatre, whose mission is to engage, educate, and provoke young people and their families with excellent theatre and arts education. Purchase tickets now! Sacred Fools is locally world famous for bold, even outré theatre, even so the current production, Resa Fantastiskt Mystisk by Lars Mattsun, extends the righteous flame of theatrical invention into the quirky territory of, let's say, Waiting for Guffman, or as another writer suggested, the hammy realm of Monty Python. I knew when I was handed an electronic devise and a pair of headphones as I entered the theatre that I was in for a special evening. I was not disappointed. It is the theatrical conceit of this show that the play, written by the obscure, prolific, unsuccessful Swedish playwright, Lars Mattsun, has been dredged up and staged by director / adaptor / interpreter / choreographer Todd Merrill. He is a tartan of a director who micro manages all aspects of the show and even comments to the audience through their headphones on the action of the performance, which is annoying and hilarious at the same time. The story line, such as it is, concerns the youngish, unsuccessful, tortured artist Phillip (the physically fit, spectacularly awkward Timothy Nathan Kopacz), who is teetering on the edge of sanity on the eve of his impending marriage to Mariah (Laura Nicole Harrison), whose hands are bandaged and held upright in front of her. The language is overblown and romantic with allusion to the wonders of nature. In his, shall we say, artistic madness, Phillip sees visions of a spectral, adolescent female (Kita Grayson as The Mysterious Child). 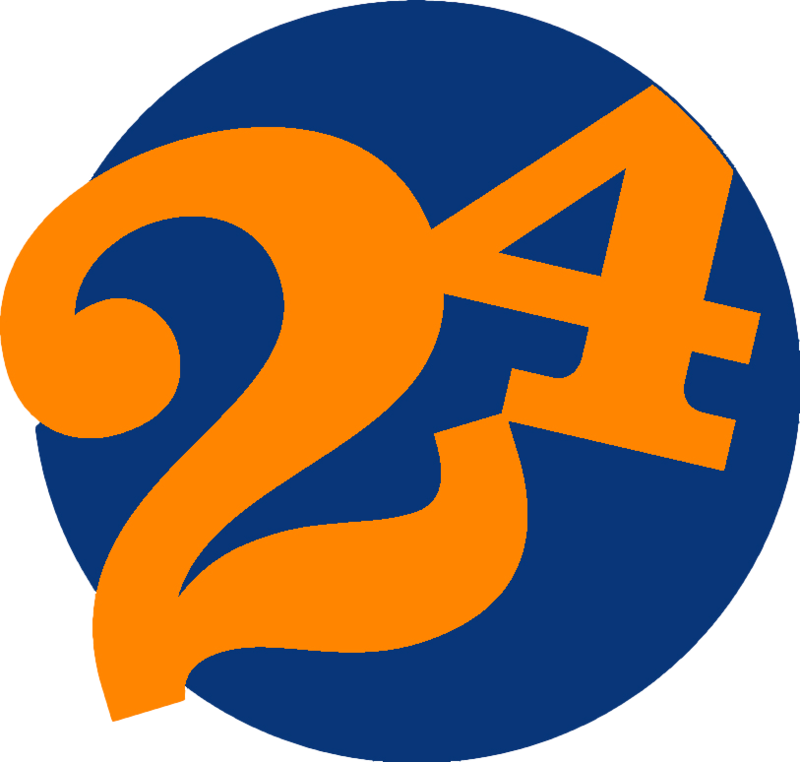 Other characters flesh out the action - co-writer Selina Merrill as Madame Shekstenlodt; co-writer Carolyn Almos as Gertrud and Wendy; co-writer Jon Beauregard as Benjamin and others; and Scott Leggett as Barnaby and others. Throughout, Todd Merrill overwhelms the onstage action with often distracting, deprecating comments to the audience through their headphones. At the risk of giving something away, Resa Fantastiskt Mystisk is directed by Albert Dayan, based on the original production directed by Matt Almos. The production is in turns sporadically hilarious and perplexing, but always intriguing. The show has a minimalist set design consisting of a red swath of fabric sweeping across the walls of the playing space and an intriguing floor design by scenic painter Barbara Lempel; Brandon Baruch and associate producer Allison Sulock are associate lighting designers; Linda Muggeridge is the costume designer and the stage is managed with assurance by Rachel Mannheim. Earning Top of Fringe this year at the Hollywood Fringe Festival, the team that earned last year's Best Comedy Easy Targets at the festival, the Burglars of Hamm and Sacred Fools, for their productions "Easy Targets," are bringing back director Todd Merrill's interpretation and his ever-evolving reworked reworking of Lars Mattsun's masterpiece Resa Fantastiskt Mystisk to The Broadwater Theatre. Having brought back the show for the first time in 15 years - or perhaps its 19? - to the Hollywood Fringe Festival this past June, the Burglars of Hamm and their acclaimed production of this previously unknown masterpiece by Swedish playwright/provocateur and Strindberg contemporary, Lars Mattsun (1849-1912) returns once again to The Broadwater in an in an encore of encores. Once you've seen an interpretation of Mattsun's Resa Fantastiskt Mystisk - and because that is a mouthful, the showrunners agreed to just call it RESA - the experience is difficult to put into writing. Although the hope was to get into the brilliant - if not enigmatic - mind of Merrill in a more personal interview, the often aloof and reclusive director was not available. But inspired and hungry with a desire for deeper insight on the piece, members of the show's curators, the Burglars of Hamm of the Sacred Fools, obliged with more information about the inspiring, albeit mind twisting dichotomy that is RESA, for a group interview. Speaking with show Producer Scott Golden, Burglars of Hamm Founding Partner Matt Almos, and Artistic Director of Sacred Fools and cast member Scott Leggett, they reveal some brief insights into Merrill, what makes him tick like an overwound clock, his never-ending research on Mattsun's elusive piece, and why it is so difficult to get more information on the works of the Swedish master. To summarize, in their words, "through Mattsun's surreal theatricality and stunning wordplay, the audience is engulfed in the tale of a troubled young man named Philip, who follows a Mysterious Child into a world of art, sexuality, and madness." RESA has previously traveled in its historical run to Seattle, Edinburgh, and New York, and the team talks with unbridled excitement over the show's return once again. The following podcast was prerecorded at The Broadwater in Hollywood, home of Sacred Fools and The Burglars of Hamm, and is a spirited discussion on the show's deep and meaningful material, with some hilarious results. Like the show at its core, produced was some very ripe fruit. RESA returns for another encore run at The Broadwater on Friday, October 5, 2018, bringing with it its amazing and talented cast to make us laugh, cry, and then cry even more with laughter. A serious piece aided by the director's unique insights throughout, RESA is a must see. With hope, this interview may bring about more insight into that mind - just not from him. Be sure to keep those headphones on.